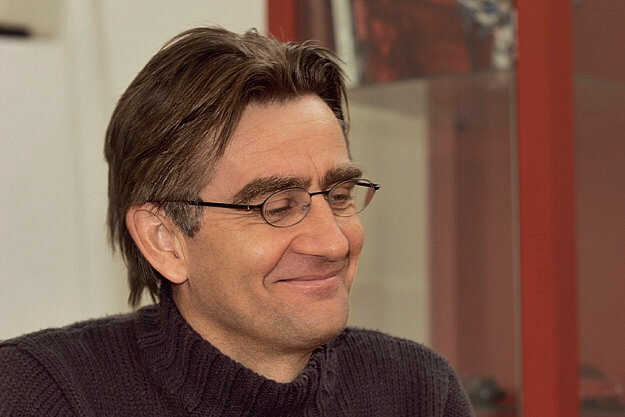 South African-born Pierre Terblanche is one of the most influential motorcycle designers in the world today. 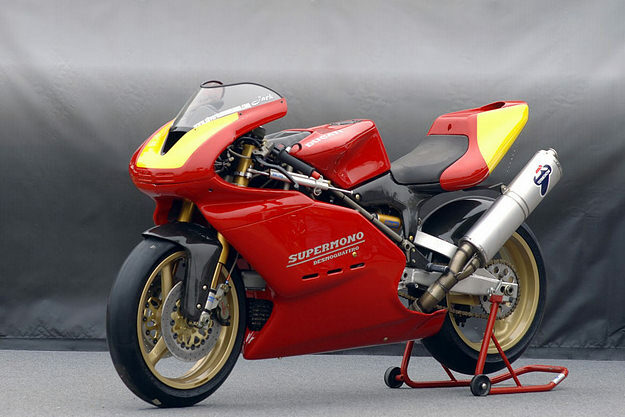 He’s most famous for his Ducati designs, such as the exquisite Supermono, the iconic 749 and 999, the retro SportClassic and the ultra-modern Hypermotard. After a brief sojourn in England, Terblanche is now back in Bologna. He’s working on new projects, and also snowed under by the worst European winter of recent memory. In case he didn’t have enough on his mind, we hit him with the traditional ten questions of the Bike EXIF interview. What was the first motorcycle you bought with your own money? 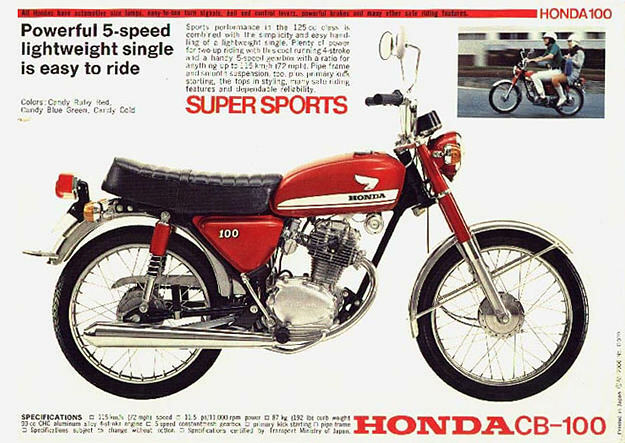 A Honda CB100 (below). What do you think is the most beautiful production motorcycle ever built? That’s a hard one. It’s like asking, “Who is the best boxer of all time?” Depends how old one is. What one is looking for. I would have to say the Imme R100 (below). I have no doubts about the best boxer, Mohammed Ali. What motorcycle do you despise? Any BMW GS clone. Shame on you, Triumph. What is your idea of perfect happiness? Many different things. Savoring the perfect tiramisu at Trattoria Wilma after eating the best castrato (mutton) on the planet. Playing pool with my friends. Staring out the window at a perfect Bologna day. Watching the Springboks thrash the British Lions at rugby. Taking the mickey out of everybody, all the time. Finally solving a design problem, unexpectedly, after 25 years. Working on a motorcycle model. Just making stuff. Seeing another designer coming up with really cool, inspirational design work. 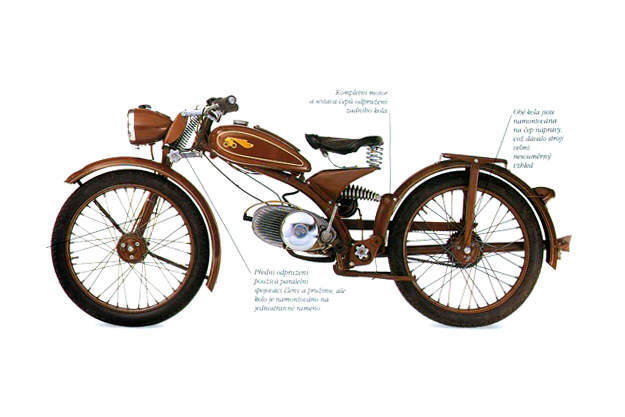 Discovering a forgotten design idea from 50 or 60 years ago that is revolutionary, even today. And mainly, just doing my own thing, minding my own business … and dreaming of the future. Electric motorcycles: Yes or No? Yes. I like the concept of an alternative power plant, with the design freedom that the new packaging layout allows. The power delivery is great, and with no engine noise it is like sailing on a fast yacht. Maybe in the future they will become more than traditional motorcycles with a big battery shoehorned in. Maybe some form of hybrid, like the GM Volt, is the future. But I’m sure that battery technology will improve over the next few years. Many people don’t know it, but in Italy there are a few tracks for electric motocross bikes, and in many areas it is fast becoming the only way to ride enduros. What is your favorite journey? A solo ride from Port Elizabeth to Cape Town on a sunny South African weekday. Travelling the backcountry route past Oudshoorn. Or any ride with my friends Paul and Wolfgang in Northern California. Which ‘everyday’ modern bikes do you think will become future classics? The equivalent of the Honda CB750 or Moto Guzzi V7 Sport, if you like? The original Monster 900—the Galuzzi one. 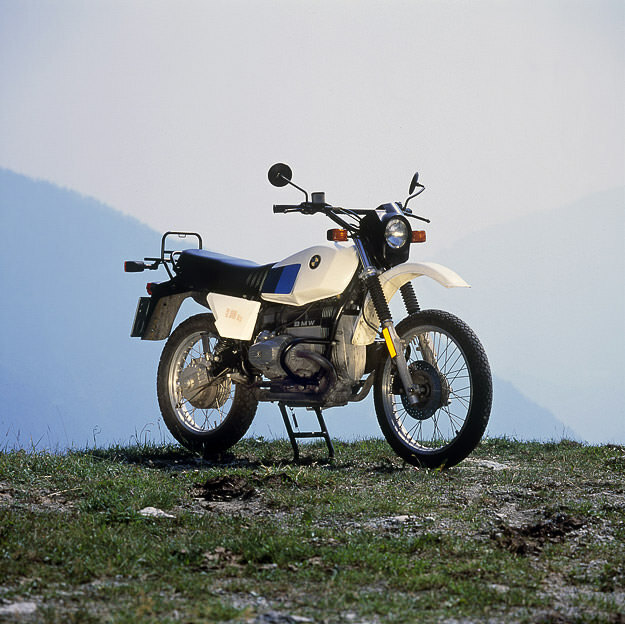 The BMW GS (above). Who are your real-life motorcycling heroes? Mike Hailwood. And now Casey Stoner. Are you optimistic for the future of motorcycling? Yes, I am. Especially if the industry starts producing motorcycles that customers need, and doesn’t just supply the ones journalists have convinced people they want. Where is our industry’s Steve Jobs? What is your current state of mind? Happy and content. Finally. But impatient to do new things in the future, learn new skills so that I can be more creative and productive. Maybe I will get the opportunity to finally design the bike of my dreams. No limits … hopefully without losing my shirt.